We’ve got one week until our next SoupGrant dinner! It’s coming up next Thursday, Dec. 19! We should be announcing next week’s soups shortly. 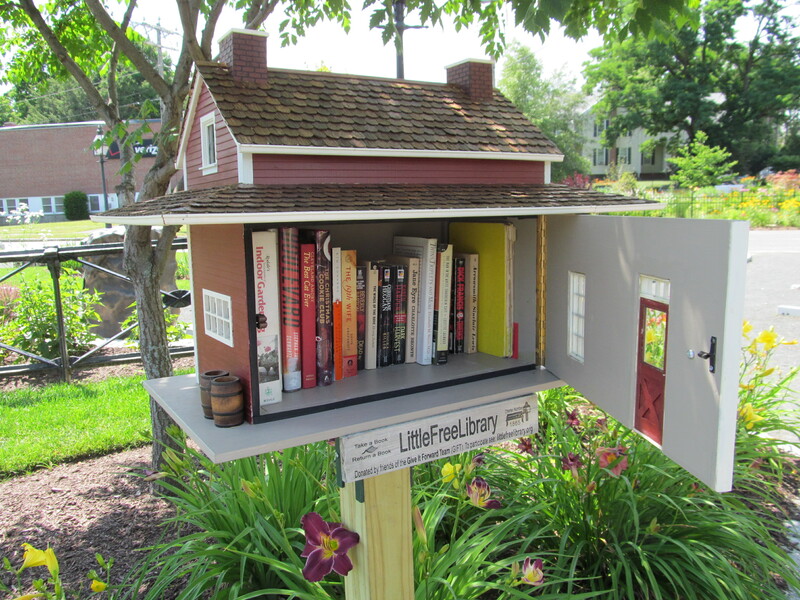 In the meanwhile, we thought we’d take a minute to check in with one of our past winners, Little Free Libraries. Little Free Libraries, an idea originally coming out of Wisconsin, is a creative way for folks to procure and share free reading materials. The proposal calls for the construction of small “libraries” around West Lansing schools. It’s a straightforward concept. The small sheltered units house books. How many? As many as will fit! These books are then available to everyone to take and read and then replace after finishing it – or perhaps replacing it with one of their own! An example of a Little Free Library in Easthampton, MA. Image courtesy of Wikimedia Commons. We recently caught up with Aliza and she updated us on how her project is coming along. In addition, Aliza said that she’s “putting feelers out” to try and discover ideal locations for her little free libraries at Lansing’s west side’s four public schools. Aliza,Ii recently built and installed a book box at the genesee school, former BCFI. Would love to collaborate with you, see what locations you are considering. I’d also like to offer to do programming together at the book boxes- read aloud at the boxes weekly on sundays with cookies and juice. i have some help from neighbors in the downtown neighborhood association already and would love to see how you want to collaborate. please leave a comment, email me mctiko@yahoo.com or ask peggy vaughn-payne for my phone number. cheers!